What is it about Nigerian politicians that make them lose all sense of decorum in their public pronouncements and remonstrations? If it’s not Senator Bola Tinubu, the “Governor Emeritus” of Lagos State and a leader of the ruling All Progressives Congress (APC) boasting of his unexplained wealth exceeding that of his home state, Osun, it’s Governor Nyesom Wike of Rivers State threatening his colleagues in the main opposition Peoples Democratic Party (PDP) over their disenchantment with the choice of Port Harcourt for the presidential primary of the party slated for Friday this week. While Tinubu attempted to refute his own statement, despite video evidence to the contrary, Wike was purported to have apologised quietly to the PDP leadership after the public uproar over his crude remarks. But their attempts at swallowing back their own verbal diarrhea is beside the point. Like several politicians who have allowed the power of office and their ill-gotten wealth to overcome their sense of reasoning, they spew bile without a second thought for the implication of their vile statements. Indeed, the assault on our sensibilities by a lot of Nigerian politicians often brings to the fore the intoxicating effects of power and the perks of office. You see, power not only intoxicates, it can make one delusional and create an over bloated sense of self-worth. As my friends are often wont to say, “it’s like being on cheap drugs”. Wike, in particular, is one politician that never ceases to raise eyebrows. He is irredeemably aggressive, irascible, crude and gruff. According to him, his grouse with the PDP leadership over their lack of confidence in the choice of Port Harcourt, the Rivers State capital, for the party’s convention is that it would impact negatively on the state’s economy. He went on to warn that his government would not support what he termed “desperate” PDP presidential aspirants who are sabotaging the economy of the state by resisting the hosting of the presidential primary in Port Harcourt. 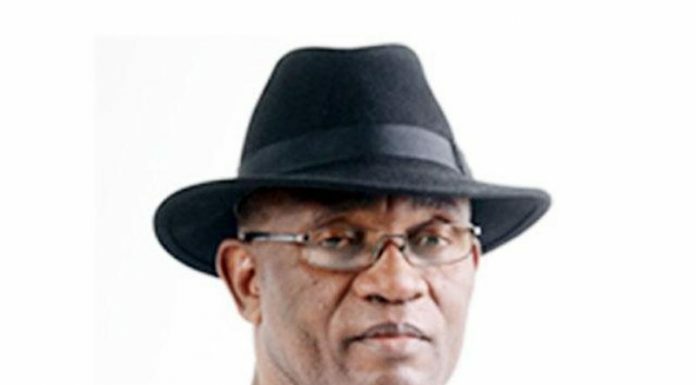 He declared that there would be consequences if the party succumbs to pressure from “planted” presidential aspirants to move the party’s national convention away from Port Harcourt, promising that the Rivers people will teach the PDP a bitter lesson if it allows such persons to scuttle the hosting of the presidential primary in his state. But beneath Wike’s uncouth outburst was a grand design targeted at 2023 when he would have concluded his second term in office as the Rivers governor. His thinking was that if he could browbeat the large field of presidential aspirants in the PDP fold into holding the convention in Port Harcourt, he would effectively control the delegates that will handpick the Sokoto State governor, Aminu Tambuwal, his preferred candidate for the presidential ticket of the party, and Ekiti State governor, Ayodele Fayose, as the latter’s running mate. The purported plot is to impose a Tambuwal-Fayose ticket on the party in the hope that the pair would defeat President Muhammadu Buhari and his deputy, Prof. Yemi Osinbajo, at the polls in 2019 while Wike waits in the wings to step in as Tambuwal’s new running mate in 2023. From the foregoing, it is apparent that the Rivers governor has completely lost the plot. If he thinks that just because he allegedly diverted the funds of Rivers State to fund the party and foisted a visionless national chairman on the PDP in the person of Uche Secondus, the party owes him, then he must be extremely delusional. There was a PDP before Wike, and there will be a PDP after Wike! If its founders and leaders are unaware of the importance of a strong opposition that can keep the ruling APC in check and cut it in its track, then we have a serious problem on our hands. Under Wike and his minion Secondus, PDP has proven to be rudderless, weak and directionless. It stood by while Ekiti and Osun States were taken from its grasp by a marauding, all conquering APC, with the collusion of the security agencies and the Independent National Electoral Commission (INEC). Aside the Senate President Bukola Saraki, who moved mountains to assist Senator Ademola Adeleke, the PDP governorship candidate in the Osun governorship election, Wike, Secondus and other leaders of the party sat back and watched ineffectively as their candidate was gobbled up. As Rome was burning, Wike was fiddling away in Port Harcourt, griping about the convention venue, and jumping through hoops to shoo-in Tambuwal and Fayose as the presidential and vice-presidential candidates respectively of the PDP. Leadership, if Wike must know, is not about issuing threats and bullying others into submission. Such tactics can only have limited results before a rebellion occurs. True leaders must get the buy-in of all members of the team, especially in a political party setting that is supposed to espouse democratic values. Wike’s remarks showed that he would not tolerate any dissenting opinion, even if they came from the party’s elders or leaders who started with the PDP from the outset. As it stands, PDP’s Wike has effectively disenfranchised the Southwest, a crucial swing geopolitical zone that can decide the outcome of the 2019 elections. Like a bull in a China shop, he first altered the zoning formula of the PDP by imposing his candidate as national chairman, much to the chagrin of stakeholders from the Southwest. He then went on to lose Ekiti, which was in the party’s grasp, and Osun by mismanaging critical past members such as Senator Iyiola Omisore who turned round to strike a deal with the APC long before the first ballot was cast in the governorship election in Osun State. And now, by attempting to foist a loud misfit such as Fayose, whose sphere of influence is limited to only Ekiti, Wike has further shown that he completely misreads the Southwest and its people. If it is his intention to handpick a running mate for Tambuwal from the Southwest, then he must spread his dragnet to throw up a running mate who will command the respect of the Yoruba people, not one that will be dismissed as joke. Even if we were to buy Wike’s position that the economy of his state stands to benefit from hosting the convention of the PDP, one is tempted to ask what economy? In my estimation, the River State economy has continued to punch well below its weight under Wike. Like his predecessors in the Government House, Port Harcourt, Wike has thrived more on noise than on substance. Port Harcourt, the oil capital of Nigeria, remains underdeveloped and nothing more than a glorified township. Each time I visit the state, I leave with a deep sense of disappointment over the absence of infrastructure, the chaos on its roads, and the glaring poverty in the state. What is worse is that Wike has convinced himself into thinking that he is outperforming his peers in the area of governance. Having built a few township roads and cottage hospitals, he goes around with the sobriquet “Mr. Projects” and styles himself as the best thing that has ever happened to Rivers State since sliced bread. In recent weeks, the Rivers governor even went ahead to hail his state’s emergence as Nigeria’s top investment destination in the first half of 2018, on the basis of a report churned out by the Nigerian Investment Promotion Commission (NIPC). The report showed that a total of $45.74 billion was invested in 42 projects in nine states and the Federal Capital Territory (FCT), of which Rivers received 35 per cent of the total amount while Bayelsa and Lagos States received 26 per cent each. But what he failed to note was that the report indicated that the mining and quarrying sector accounted for 61 per cent of the total amount invested during the period, an indication that capital inflow was into the insular oil and gas sector over which Wike and the state government have no control. Besides, the proceeds derivable from such investments in Rivers State would not accrue solely to state but to the three tiers of government. In contrast, the National Bureau of Statistics (NBS), the definitive body responsible for providing monthly, quarterly and annual data on the Nigerian economy, showed that River State in the first half of 2018 attracted a measly $524,903.68 as capital importation, far lower than smaller states such as Abia which got $1.267 billion during the same period, and the behemoths, Abuja and Lagos, which were respective recipients of $6.1 billion and $4.325 billion as capital importation in the first half of this year. I need not delve too deeply into Rivers State’s finances which at a glance show that it is over-reliant on allocations from the Federation Account for survival, its internally generated revenue has stagnated at an average of N85 billion over the last five years, while its debt service as a percentage of revenue continues to hamper with the ability of the state government to deliver the goods to its citizens. It is obvious that Wike needs to get his act together both as a leader of the PDP and governor of his state. He has spent an inordinate amount of time fighting the federal government at the centre, the APC in his state and his predecessor in office, Chibuike Amaechi who is no better that he is, while at the same time attempting to govern River State and retain a stranglehold over the PDP. In all departments, he has fallen short of expectations. As any juggler would attest, it is impossible to keep all the balls in the air for a prolonged period, as one or two of them will eventually come crashing down. If Wike must provide leadership to the PDP so that the party can provide a credible and effective challenge to the APC come 2019, he must be strategic, inclusive and unselfish. It is irrelevant that he is providing the funds that are keeping PDP afloat and therefore can keep dictating the tune. As pointed out earlier, a rebellion within the ranks of the PDP would blow up in his face, if care is not taken. Wike could also learn a thing or two from Tinubu whose so-called control over the Southwest continues to wane by the day. Not that I think much of him, but Governor Akinwunmi Ambode of Lagos State made my day yesterday. He stopped begging Bola Ahmed Tinubu, a former governor of the state, who thinks he owns Lagos, by calling the latter’s bluff. Ambode made it known at a press conference yesterday that he intends to contest the governorship primary of the All Progressives Congress (APC) slated to take place in the state today. In so doing, he told Tinubu to bring it on. With a bit of providence and political guile, Ambode’s gamble may just pay off. If the so-called national leader of the APC was so certain that he could impose his new boy Babajide Sanwo-Olu on Nigeria’s commercial capital, there would have been no need to threaten to impeach Ambode should the governor refuse to drop his quest for a second term in office. The APC led by Tinubu in Lagos had initially insisted on conducting direct primaries to select its governorship candidate for the 2019 elections. Then the former governor suddenly reversed himself at the weekend by ordering Ambode to withdraw from the contest to allow the APC to present Sanwo-Olu as the consensus candidate of the party in the state. Using his influence also, Tinubu got the party’s leadership at the centre to postpone the APC governorship primary by two days. If the entrenchment of democracy was at the heart of the choice for the direct primary, why the sudden need for a consensus candidate to contest the governorship election in Lagos next year? All these actions point to the uncertainty in Tinubu’s camp to supplant Ambode with Sanwo-Olu. The handwriting is very clear on the wall that Tinubu is no longer as invincible as he once was. The Lion of Bourdillon is aging and is losing his grip in a state over which he has held sway for almost two decades. Otherwise, there will be no need for the impeachment threat. Tinubu through Sanwo-Olu should go and test his popularity at the primary today. May the most popular man win.